Dental emergencies often happen when you least expect them. While no one wants to be faced with needing emergency care, accidents do happen, which is why it is a good idea to always be prepared for how to best act if you find yourself in a difficult situation. Bleeding: Bleeding is one of the most common things to occur following a dental accident. It is a good idea to always have a first aid kit that contains a gauze pad that is in a place that is easy to find. To stop or slow the bleeding, apply gentle pressure to the wound with the sterile gauze. If applying this pressure does not help alleviate the bleeding, call your dental office or go to the nearest hospital emergency room. Swelling: In addition to bleeding, swelling is a common consequence associated with dental emergencies, especially for accidents involving physical trauma. To help alleviate the swelling, apply an ice pack or cold compress to the area that is swollen. In addition to reducing swelling, the compress will also help numb the area, which will alleviate some pain. 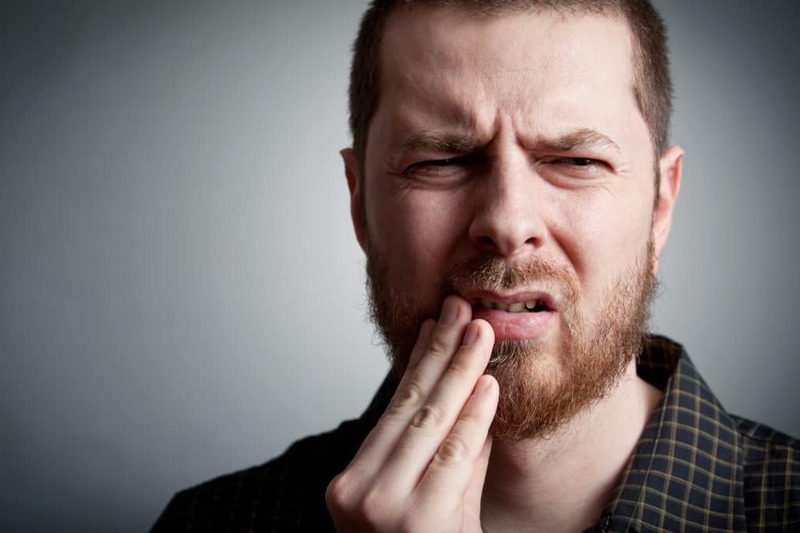 If your swelling is caused by a tooth abscess, you will need to schedule an appointment for antibiotic treatment. Pain: As previously stated, one of the easiest ways to alleviate pain following a dental emergency is through the use of a cold compress. There are also several over-the-counter pain relievers that can help reduce pain, but for more severe emergency situations, you may need a prescription from your dentist for slightly stronger medication. Lost Permanent Tooth: A tooth falling or being knocked out is one of the most common dental emergencies. If this should occur, the most important thing is to remain calm and follow these best practices. First, handle the tooth as little as possible, taking particular precaution to not touch the root surface. Unless the tooth has fallen in a clean area, gently rinse the tooth with water, and if possible, reinsert it into place. If this is not possible, place the tooth in a jar of milk or your own saliva and schedule an appointment with your dentist. For best results, try to have your tooth reinserted within one hour of it falling out. While it is important to be prepared for how to best handle a dental accident on your own, it is also important to seek professional assistance for more severe cases. It is not uncommon to be uncertain about how to best proceed when faced with an unexpected emergency dental emergency. As such, it is important to have a plan in place so you can act accordingly should an incidence occur. What caused the event to occur, and is your issue the result of an accident or an issue that has been developing for some time. If you are not able to set up an appointment with your regular clinic, your next best option is to go to the emergency room at your nearest hospital. If at all possible, it is best to avoid going to the emergency room for dental care, in part because of the cost involved, but also because emergency room staff are not trained to deal with specialized dental emergencies. They will, however, be able to assess the severity of your issue and advise you on next steps. They can also administer medication to alleviate the pain and/or provide antibiotic treatment to prevent infections from developing. Extraction: Your dentists primary goal is to help you preserve your teeth as much as possible, but there are instances where the best option for your overall oral health is to have the tooth removed. If your tooth has become so damaged that emergency care is required, they will first provide a local anesthetic, which will numb the area around where the extraction will occur. If the tooth has broken below the bone, they may need to provide a higher level of sedation to put you to sleep prior to performing surgical extraction. After you are properly numbed, the tooth will be extracted, after which your dentist will schedule a follow up appointment to discuss tooth replacement options. likely need to be extracted to prevent an infection from developing. Root Canal: Your dentist may need to perform an emergency root canal if you have a tooth that has been fractured or abscessed to the nerve for some time. It is important to schedule regular dental exams every six months to prevent these type of issues from developing, and addressing them before they turn into emergency situations. Generally, a root canal procedure will need to take place over multiple visits, but your initial emergency dental visit will focus primarily on helping relieve immediate pain and removing bacteria that will cause the abscess to worsen. infections from developing until you are able to schedule an appointment to address your needs.